We all smelled what The Rock was cooking, what with all the recent teases he has been dishing out about him possibly being seen in a film about the DC Comics character Shazam. If you were not exactly sure what you smelled, the good folks at Variety, have brought us the official word, fresh from the kitchen that Dwayne Johnson will in fact, be playing Black Adam, the arch-nemesis of Shazam. This is a bit of a big deal considering whenever Dwayne Johnson becomes involved on a project, the status of said project is elevated several notches. Let's face it: At this point, DC could use an all around home run in the film department, especially if Zack Snyder's Batman v. Superman: Dawn of Justice does not do as well as we all think it should. This film could serve as solid direction. It's also a bit surprising that Johnson is not going to be playing Shazam, wouldn't you say? When he began dropping hints, one might have guessed that he'd play Shazam as he always seems to play good guys and action heroes. We have not really seen him play a bad guy, unless you count his turn as the voiceless villain, the Scorpion King in The Mummy Returns. 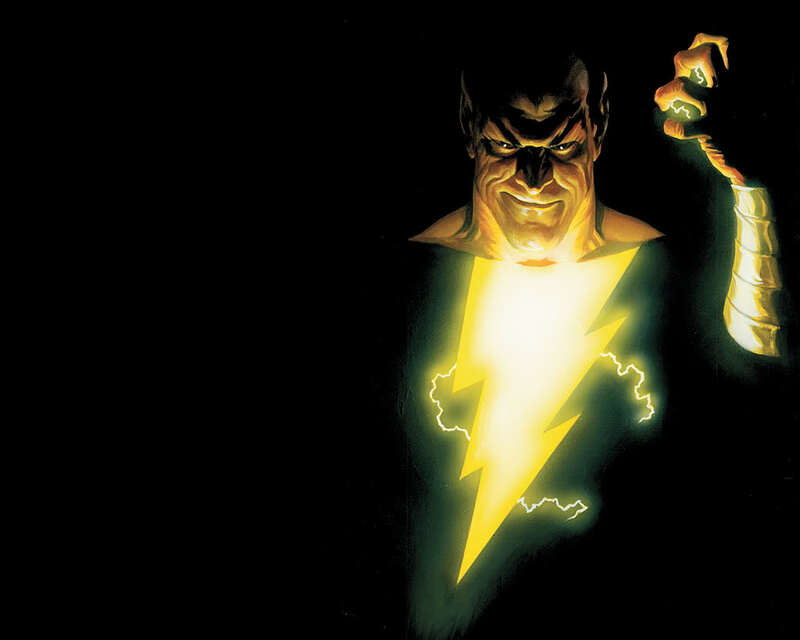 That said, the casting choice makes sense, given Johnson's more ethnic background and the fact that Black Adam was originally an ancient Egyptian. Not that he could not make it work if he were Shazam, just an observation. It should be interesting to see how it all turns out. Either way, his presence in this movie is a big step in the right direction for New Line and DC. No release date is set for the upcoming 'Shazam' film yet, but Johnson will also serve as a producer on the film, which will be written by Darren Lemke, whose credits include Dreamwork's Turbo and Bryan Singer's Jack the Giant Slayer.